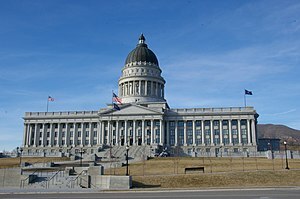 Utah Becomes A National Rallying Point for FOI…. It may be a dubious honor, but Utah’s open-records fight has become a battle cry for open-government activists across the nation. The Washington-based Sunlight Foundation delivered a petition Friday at the Scott M. Matheson Courthouse signed by thousands of open-government activists to governors attending the National Governors Association meetings here. They want to raise the profile of open government in every state. That’s important because it has become popular for politicians to promise open government on the campaign trail and then abandon the idea once in office. Gabriela Schneider, the group’s communications director, said it was ironic that Salt Lake City is the site of the petition delivery since Utah lawmakers enacted and then rescinded HB477, which would have thrown up major roadblocks to government-records access. Gov. Gary Herbert is featured among the group’s poster children for open-government abuse, and images from HB477 protests are part of a video call to action. Like the Sunlight Foundation, the Reporters Committee for Freedom of the Press also noted several governors who didn’t keep their campaign promises for open government. Included on the list are governors from Wisconsin, South Carolina, Florida and Tennessee. As the work of a group charged with recommending changes to Utah’s open-records law draws to a close, it’s clear there’s a major sticking point among its members: whether written correspondence from constituents to lawmakers should be public at all. Most people don’t realize the letters and emails they send to legislators are public records under the state’s Government Records Access and Management Act, said GRAMA Working Group member Sen. Stuart Adams, R-Layton. He argues an attempt to alert them to that fact may only serve to chill communication from some. After nearly three months of discussion, Adams and numerous other lawmakers are not convinced the law does enough to protect personal information disclosed to them on a daily basis by constituents or to avoid subjecting people to what Sen. Curt Bramble, R-Provo, calls “pre-emptive intimidation” of those who don’t like their views on hot-button issues. Efforts to shield such communication have been successful elsewhere. Across the country, nearly a dozen states, including Kentucky, New Jersey and Pennsylvania, have walled off constituent communication. Those states specifically say such correspondence is not public record, or they provide broad protections for personal, private disclosures…. Many proponents of the failed HB477 argued that the government needed to control the costs of voluminous public records requests and limit the ability of the public to “inspect” a record free of charge. Before such policies get blindly rolled into another GRAMA bill this summer, the GRAMA working group and others should reconsider the ill-conceived fee provisions in HB477. 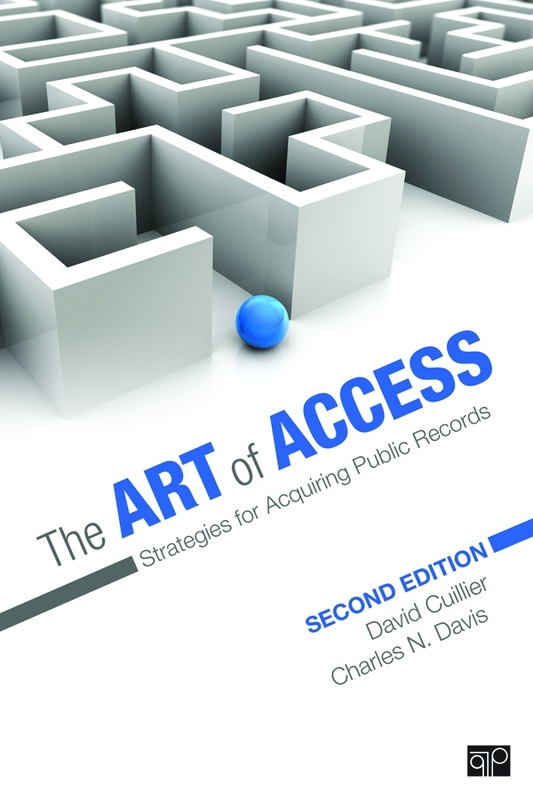 In plain language, HB477 proposed a scheme in which a requester using the Government Records Access and Management Act (GRAMA) would not only pay fees to cover the “actual cost” of providing the records, but it also added new charges for overhead and administration. That would have undone Utah GRAMA’s current and narrowly drawn “actual cost” provision, which is among the best in the United States. Despite a good law, there is wide interpretation of this provision. For example, costs for a paper photocopy can range anywhere from 10 cents to $5 a page across the state. Some government entities justify high records costs to support the maintenance of a computer system to store records, while others may simply view copy fees as a revenue stream. In Florida, fees for copying paper records are also limited to the actual costs, unless fees are set in law. Otherwise, government cannot charge more than 15 cents per copy. Florida law also prohibits public offices from using photocopy charges as a revenue stream, according to Reporter’s Committee for Freedom of the Press. Utah legislators should consider similar uniform cost limits for both electronic and paper records across all levels of government. I love it when Dave and I are in the first four grafs of a story! Whenever Charles Davis speaks to government officials, business leaders, lawmakers and journalists, he holds out Utah’s open-records law as one of the best in the nation. The law is now up for review as the GRAMA Working Group gets to labor on 36 policy questions aimed at bringing Utah’s Government Records Access and Management Act into the 21st century. The 25-member group meets for the second time Wednesday at 9 a.m. at the Capitol. On Friday, legislators repealed HB477, which most notably changed language that presumed records were closed unless someone requesting a document successfully argued otherwise. The short-lived law earned the state a Black Hole Award from the Society of Professional Journalists’ national chapter. David Cuillier, chairman of SPJ’s Freedom of Information Committee, said that, based on the revisions, he would knock Utah from 13th to 51st for transparency among states. As Utah lawmakers argued why they needed the now-repealed HB477 to shield more records from public release, leaders repeatedly said their staffers had been swamped by records requests in 2010 and spent more than 400 hours filling them. But an open-records request from The Salt Lake Tribune shows the Legislature can produce no records to substantiate that claim, and attorneys now say it was an estimate. Related records that do exist suggest that the estimate may have been high. Also during debates, lawmakers worried aloud that the Government Records Access and Management Act (GRAMA) could force disclosure of their personal emails or texts. However, the documents obtained by The Tribune show that whenever such records were requested recently, the Legislature denied them, saying they were not public under GRAMA (without changes sought by HB477). Utah Conversation Shifts to Closing Email to Protect You…Watch Out! The conversation turns from policy to politics in Utah, as the operatives see an opportunity to close e-mail for that most politically popular of reasons — the protection of constituent “privacy,” a word symbolizing much and meaning nothing. It’s a smart political move for Utah GOP legislators to repeal the GRAMA amendments and to now push for “protections” of their own constituents’ private electronic communications with pubic officials. So say several Republican political operatives UtahPolicy spoke with over the weekend. “As far as I’m concerned, the only smart (GOP) officeholders are the Steve Urquharts out there who are saying – “Hey, we messed up, now let’s fix it,”” said one Republican who has been active in party politics for years. The Republicans spoke to UtahPolicy asking that their names not be used because they still have to work with GOP legislators and party leaders. Last Friday, as you know, the Utah House and Senate repealed HB477 – a GRAMA revision much-hated by Utahns. And the main theme expressed in an open House GOP caucus and on the Senate floor debate (the House basically had no floor debate) was that while HB477 did do some good things, what citizens now have to understand that they are “naked” before the prying eyes of the media and other special interest groups unless GRAMA is changed. While there is some argument about this – media attorneys, for example, say GRAMA already contains “protected” status for legislators’ and other public officials’ private communication with constituents – many legislators (even the Democrats, who nearly unanimously voted for repeal) worry about such constituent communications. …what citizens now have to understand that they are “naked” before the prying eyes of the media and other special interest groups unless GRAMA is changed. Let’s take a quick peek under the hood at the pertinent exemptions in the current law, courtesy of the Reporters Committee for Freedom of the Press’s fabulous Open Government Guide. 3. Does it contain “records of publicly funded libraries used to identify a patron”? 6. 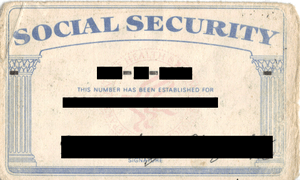 You can not, under Utah public records law, reveal a person’s Social Security number. Whew! So who’s naked now? And after these exemptions are applied, what constituent-to-public official correspondence, e-mail or otherwise, should then be withheld? And what about public official-to-constituent? An exemption for such communication that “clearly constitutes an unwarranted invasion of personal privacy” as the federal FOIA does, with a public interest standard installed that could override such concerns, might do the trick. But whenever government officials say they are out to “protect your privacy,” please understand that what they mean is “we’d like to take information that is available to you now, should you need it, and secure it for your protection.” That, my friends, is a surrender of sovereignty from the people to the government, and it should always, always be the last resort. A tad here, a tad there, and suddenly you needn’t worry, for the government is protecting you from all that scaaaaaary information….. There are legitimate privacy interests here. Most of them are covered by the existing exemptions. The rest could be handled very neatly and narrowly. The early rhetoric (YOU ARE NAKED!) suggests otherwise. Think a few organized citizens can’t shake up the world? After enduring two weeks of public fury, Utah lawmakers voted overwhelmingly Friday to repeal a bill that would have restricted public access to government records. The votes to repeal HB477 were resounding: 60-3 in the House, and 19-5 in the Senate. HB477 had passed earlier this month just 72 hours after its text was introduced. Lawmakers said they moved swiftly to avert expected opposition by the press, and said they were acting to stop “fishing expeditions” by reporters seeking to embarrass lawmakers. But it launched a two-week firestorm that included chanting protesters marching in the Capitol, launching of a voter referendum seeking to repeal HB477, attacks by most major news media in the state, threats of lawsuits, and advertisements assailing it by such influential groups as the Alliance for Unity and Common Cause.